← Ingrown Toenails – Is Simple Wedge Resection Obsolete? “My husband has been suffering with “Opthalmic Branch Post-Herpetic Neuralgia” for more than 4.5 years. The area describe here is exactly same as his PHN area. Currently he is taking 600mg Gabapentine 3 times a day and have tried numerous other pain killers or/and antidepressants and nothing helped. How can we contact with the doctor who can perform the nerve block described here? He is 62 years old, 165 lb., borderline diabetics, 1 stent from angioplasty, otherwise healthy male. We would be very grateful if you can send us the information regarding this treatment. 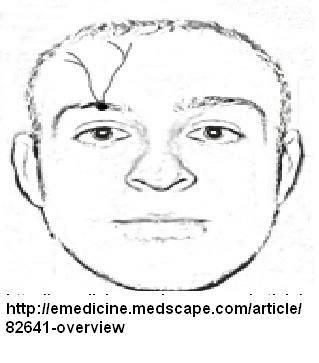 A test dose of 3 ml marcaine could be given to inner 2/3rds of eyebrow horizontally under skin – any doctor could do that. Your doctor could easily follow the pictures above – print it out and take to her/him. 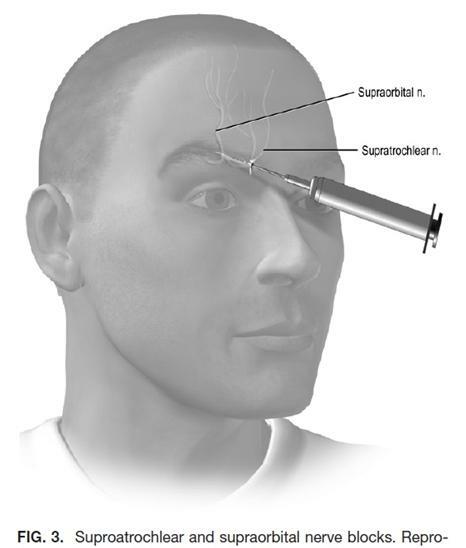 If temporarily effective, a combination of 4% tetracaine dissolved in 0.5% bupivacaine (0.2 – 0.5 ml) into supraorbital or infraorbital foramen – gave relief of trigeminal neuralgia relief for more than 3 months in one study. The latter might require an anesthesiologist or pain specialist. 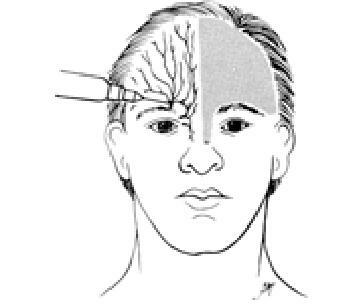 The long lasting effects of peripheral nerve blocks for trigeminal neuralgia using high concentration of tetracaine dissolved in bupivacaine. 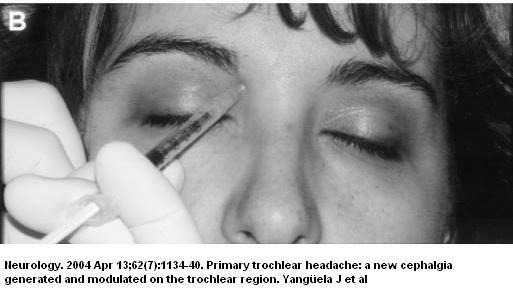 High-concentration tetracaine for the management of trigeminal neuralgia:quantitative assessment of sensory function after peripheral nerve block. Pontocaine can be gotten as a powder in vials to which 0.5 mls marcaine can be added. This entry was posted in neuropathic, post herpetic neuralgia. Bookmark the permalink. You ought to take part in a contest for one of the greatest blogs on the internet. I will highly recommend this blog!